State and federal bureaucracies usually differ only in the scale of frustration and confusion they create. 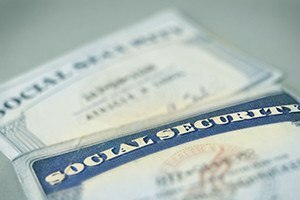 The Social Security Administration — the federal agency responsible for reviewing claims and administering SSD benefits — is no exception. Unfortunately, many people with legitimate disabilities try to navigate the process themselves, have their initial claim denied, and simply give up. Nearly 90 percent of SSD claims are denied the first time around. Do not accept that decision. Contact Pulgini & Norton for help with what comes next. We have nearly 40 years of combined experience with Social Security disability claims. We have a thorough knowledge of the law and the technical and procedural aspects of SSD that can affect the outcome of your case. As important is the fact that when you ask us to put that experience to work for you, you can rest assured that it will be an experienced attorney — not a paralegal or inexperienced associate — who personally handles your case. For more information about SSD and answers to other questions you may have, please visit our FAQ page on social security disability. For a free consultation, contact us via e-mail with a brief description of your situation or reach us by phone at our Downtown Boston, Hyde Park, or Braintree, Massachusetts, office locations.